Tired of living with that cracked (okay, shattered) smartphone screen? 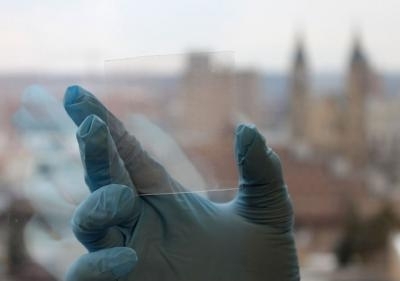 University of Akron researchers may have the answer. Study data revealed that the novel film retained its shape and functionality after being bent over 1,000 times. Researchers believe that the latest invention could be produced in cheap, mass-quantity rolls. "We expect this film to emerge on the market as a true [indium tin oxide] competitor," Zhu says. "The annoying problem of cracked smart phone screens may be solved once and for all with this flexible touch screen."